A few months back, we looked at Iminit‘s video stabilization technology; now the Swedish video technology wizards are back with another demo of what its final product will be able to do with basic smartphone video. 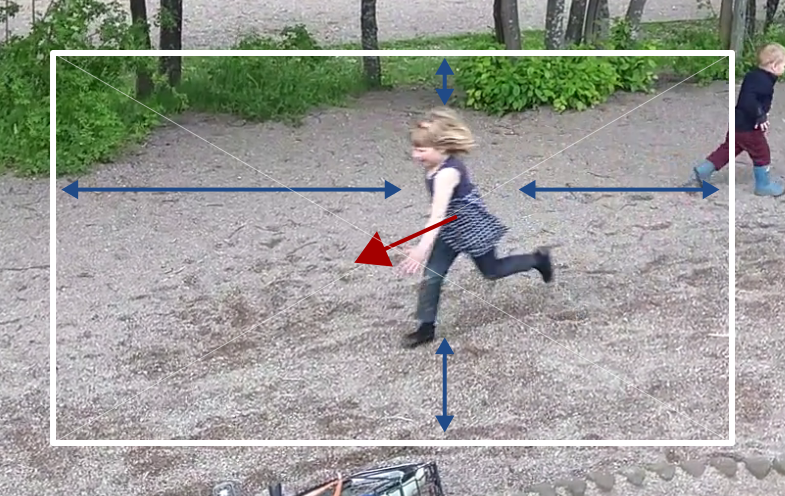 Instead of just stabilizing the video, Imint’s defense-developed auto-zoom algorithms can now also automatically track and zoom in on the most interesting parts of the video. Just like all of Imint’s technology, auto-zoom is the result of the company’s work on defense technology. When you are using a drone, after all, you want to be able to easily track that truck of insurgents (and maybe even fire a missile at them — at which point you put in a little prayer for them to be insurgents and not just a rowdy family on a weekend trip). The technology is also used in search-and-rescue operations, though, and during basic surveillance missions. The team is still working on improving the technology (to be able to predict object motion and direction, for example) and trying to figure what exactly the user interface for this tool would look like. But even in its current state, Lifvendahl is confident that the automated result is often better than what you could accomplish yourself — even with a very good camera. The team is now working on figuring out how to use its technology to automate collaborative filmmaking. He believes that as long as you allow for a lag of ten to twenty seconds, an algorithm should be able to come pretty close to what a human video producer can accomplish. Imint plans to enable auto-zoom and, later, the live video-editing feature in its SDK, which is currently being tested by a number of companies. Hopefully, the company will soon be able to announce when (and in which devices) users will be able to use its technology. Assuming the real-life experience lives up to the company’s promises, this has the potential to quickly change how we think about and record video on our smartphones.